Cruise ships or cruise linse are passenger ships used for pleasure voyages. 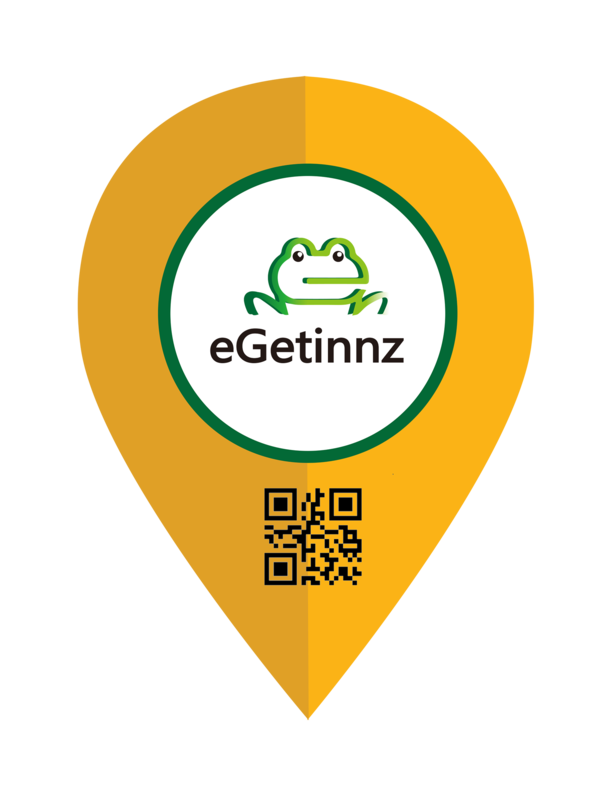 They are usually luxurious and feature amenities and facilities for leisure entertainment like casinos, shops, restaurants, spas, swimming pool, gyms and more. Here are some of the most famous cruise ships in the world in terms of onboard accommodations, dining and entertainment. The 5,400-passenger Allure was the world’s largest cruise ship for six years before the title was stolen in May 2016. It features attractions like ziplining and the handmade wooden carousel. It also has a theatre with 1380 seats and an ice skating rink. It has sailed in the Caribbean and Mediterranean region and by 2018 it is set to change home port in the Port of Miami. 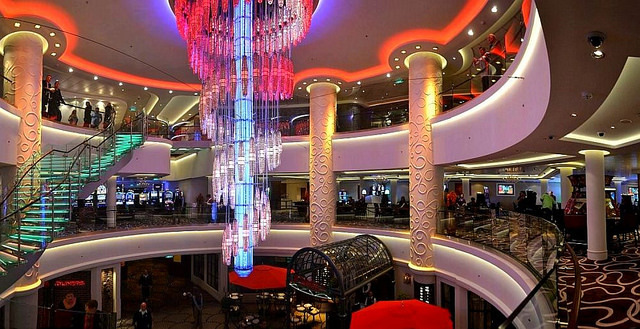 The 5,400-passenger Oasis was launched as the largest cruise ship ever built. 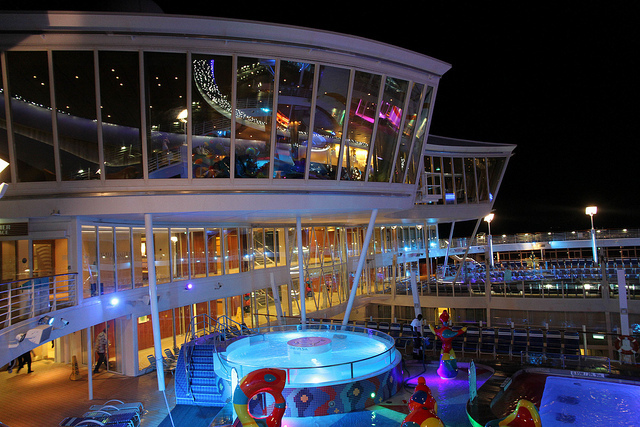 The ship which has had her maiden voyage in 2009 features a zipline, a casino, a miniature golf course, multiple night clubs, five swimming pools, volleyball and basketball courts, theme parks, nurseries for children and more. 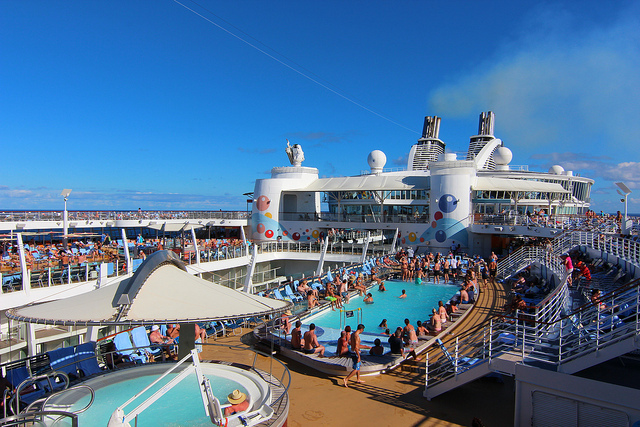 The ship which cruises in the Caribbean region has already set a new capacity record of carrying over 6,000 passengers. The 4,180-passenger Anthem of the Seas features innovative attractions like a skydiving simulator and a London Eye-style glass pod that rises over the pool deck. This high-tech ship which was launched in 2015 offers fast Wi-Fi, onboard bookings via tablets and apps, and RFID bracelets for cabin access and on-ship purchases. 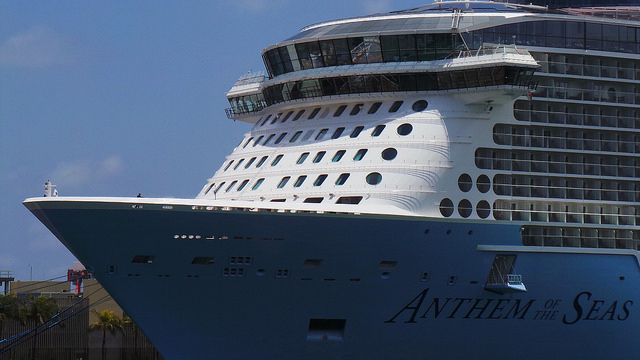 Anthem of the Seas cruises in New Jersey, Caribbean, Bermuda and Canada. Norwegian Getaway is a Miami-inspired ship which debuted in 2014. It can carry 3900 passengers and a crew of 1640. The ship features the “Illusionarium”, an entertainment venue devoted to magic and illusion and a 30 feet high video dome. It sails in the Western Caribbean stopping at Bahamas, Jamaica and Mexico. 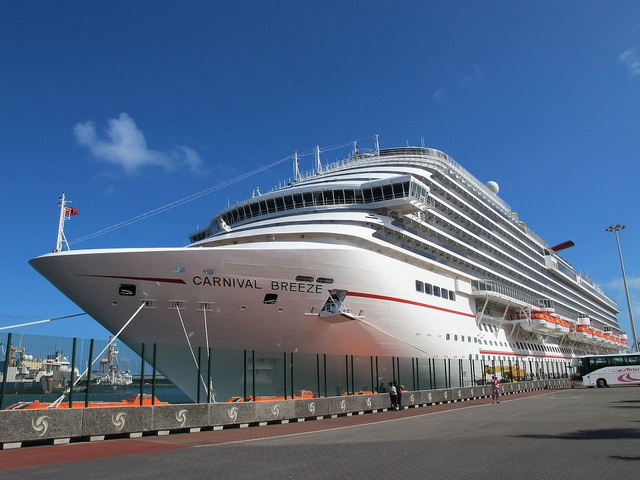 The Carnival Breeze is a 3,690-passenger ship which was launched in 2012. Some of its best features are the 5D Cinema called Thrill Theater, outdoor water park, Cloud 9 Spa, jogging track, fitness center, Seaside Theater, Red Frog Pub, Winner’s Luck casino and bar, the Liquid Nightclub disco, Punchliner Comedy Club, Sport-square and Hasbro: The Game Show.